Vermouth Gets A Leading Role - Find. Eat. Drink. Vermouth - Find. Eat. Drink. A couple of years ago we wrote a column on Find. Eat. Drink. and said that “despite being around since the late 1700s, vermouth suffers from always being a bridesmaid and never a bride.” This is finally changing and vermouth is having its day. Whether you are drinking vermouth in a classic aperitif-style on the rocks with twist, having a vermouth and sherry cocktail, or looking to try some variations on a classic martini or Manhattan, now is an ideal time to explore vermouth landscape. 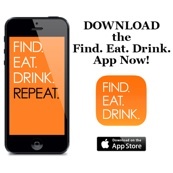 A couple of years ago we wrote a column on Find. Eat. Drink. and said that “despite being around since the late 1700s, vermouth suffers from always being a bridesmaid and never a bride.” This is finally changing and vermouth is having its day. 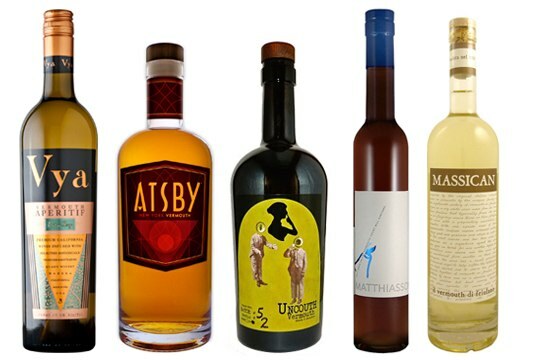 A few factors are helping vermouth gain more presence in the spotlight, one being that more and more interesting old school style vermouths are being imported into the U.S. market; American-made vermouths are also populating the shelves of bars and liquor stores; and the cocktail scene is embracing lower alcohol drinks. Whether you are drinking vermouth in a classic aperitif-style on the rocks with a twist, having a vermouth and sherry cocktail, or looking to try some variations on a classic martini or Manhattan, now is an ideal time to explore vermouth landscape. Vermouths are fortified aromatized wines. A wine base is fortified by adding a neutral spirit (in most cases a grape brandy) and aromatized through the infusion and distillation of botanicals, including roots, barks, flowers, seeds, herbs, and spices. Vermouth actually comes from the French pronunciation of the German wermut which means wormword, one of the botanicals used in the production of vermouth. The color of the vermouth does not result from the wine used, but as a result of the botanicals used. When was the last time you bought a bottle of vermouth? If you can’t remember or your answer is that it was longer than a month, your first step in enjoying vermouth as a aperitif is to throw out the bottle that’s been sitting in your cupboard for far too long and buy a new one. Vermouth needs to be treated more like a wine than a spirit or liqueur. Imagine drinking a glass of wine from a bottle that has been open for six months. 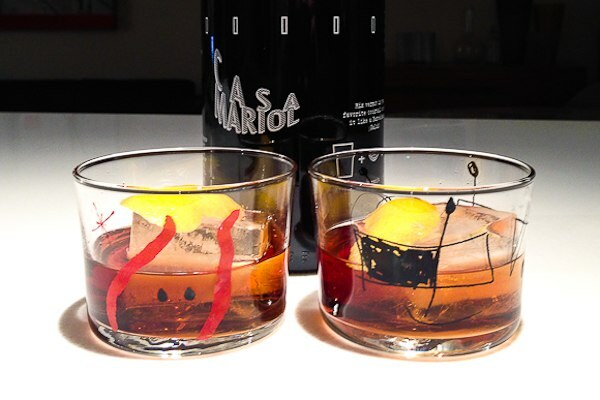 To get the full enjoyment of vermouth, you want that freshness and brightness of flavors. Buy half bottles (where you can), keep them in the fridge, and use them within a matter of weeks. It’s an ideal excuse to cycle through a variety of vermouths. 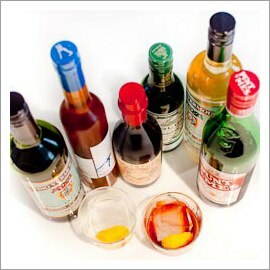 From a cocktail perspective, the traditional way of using vermouth is to mix in a French dry vermouth like Noilly Prat or Dolin in a martini and an Italian sweet vermouth like Cinzano, Martini & Rosso, or Carpano in a Manhattan and Negroni. Try upping the vermouth ratio in your favorite martini to beyond a wisp and you’ll be pleasantly surprised. The even more traditional way of enjoying vermouth though is as a simple aperitif on the rocks with a twist. It’s a classic aperitif that enlivens your palate and it won’t get the party started too quickly. Or split the difference and make vermouth cocktails. The folks at Vya, a California vermouth producer showcase their vermouths in a Vya cocktail, which is two thirds dry vermouth and one third sweet vermouth. Bartender Naren Young at Bacchanal has a whole aperitif cocktail section that includes the Adonis, which is made with Noilly Prat Ambre, Amontillado sherry, and orange bitters; and the Improved & Fancy with Dolin Dry, Maraschino, Pernod absinthe, and lemon bitters. There are so many possibilities. Alex Wallace created the Lab 220 using two Spanish vermouths from Atxa with their Vino Vermouth Rojo, Vino Vermouth Blanco, and Fino Sherry. While these are the more traditional styles of vermouth produced in Europe, it doesn’t mean they all taste the same. There is a whole range of flavors and styles here to meet everyone’s tastes and uses. These are the new(er) kids on the block. They are the upstarts that are causing the old school brands to wince a bit. Whereas the European vermouth makers are somewhat constrained by law and must include wormwood in their ingredients, the American vermouth produces are not limited by the rules. Some are more classically styled, such as the Vya vermouths, but others are taking on a whole new approach and flavor profile, such as Uncouth Vermouth. The consistent approach to enjoying all these vermouths is over ice with a twist. Beyond that there are some simple variations and recommendations. Importer André Tamers recommends adding a drop or two of gin to the Atxa Blanco with a slice of lemon, and a drop of Campari and an olive or orange slice to the Rojo. He notes that the olive adds a salty component which is critical. Mauro Vergano suggests trying his Vermouth Bianco chilled or with ice cubes, a zest of lemon, with sparkling water. Dan Petroski recommends enjoying his Massican vermouth simply over ice with a dash of orange bitters and a lemon twist. Try these vermouth-focused cocktails as a start to your meal. Add 2/3 oz. of Vya Extra Dry Vermouth with 1/3 oz. 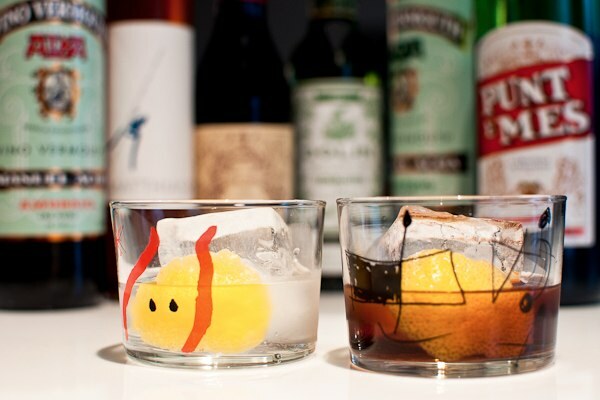 Vya Sweet Vermouth over ice in a Old Fashioned glass and add a twist of lemon or orange. Over ice in a rocks glass, stir together 2 oz. Atxa Vino Vermouth Rojo, 1 oz. Atxa Vino Vermouth Blanco, 1 oz. Fino Sherry, and garnish with an orange wedge. Shake over ice, 2 oz. Noilly Prat Dry Vermouth, 1/4 oz. Green Chartreuse, 1/4 oz. fresh lemon juice, 1/4 oz. honey syrup (2:1 ratio of honey and water), and strain into a chilled cocktail coupe.